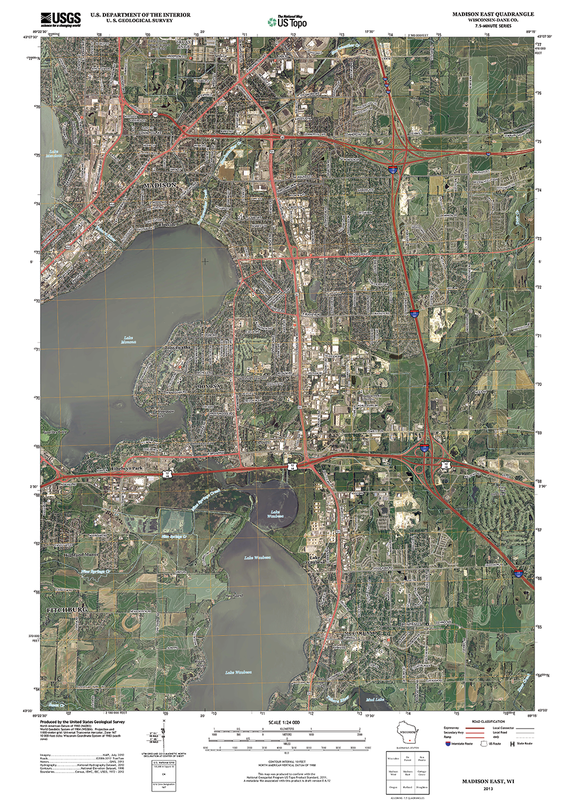 US Topo topographic maps are produced by the National Geospatial Program of the U.S. Geological Survey (USGS). These maps are modeled on the familiar 7.5-minute quadrangle maps. Layered files mean data layers can be turned on and off. The maps include layers not present on most traditional topographic maps, such as aerial photo and shaded relief images. Topos can also be merged together to show larger areas, or cropped to show a smaller area. Because these topo maps are customized for the data you want to show, please contact us for details, options, and pricing.